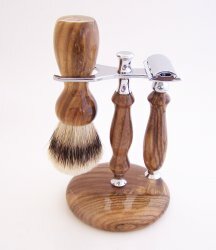 Pistachio solid wood base stand. 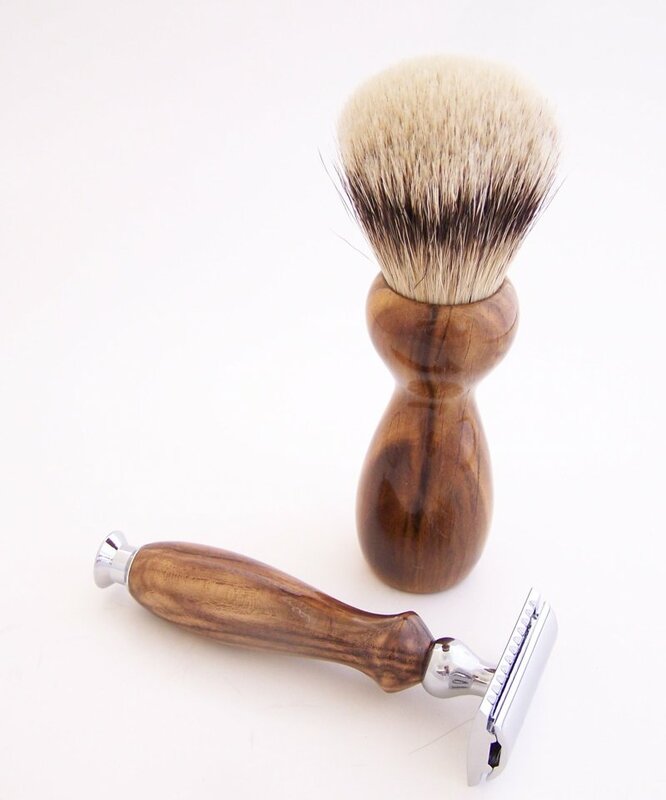 The wood was salvaged from a retired Central Valley California orchard. Orchard trees are the product of two types of Pistachio that are grafted together. All defects (checking, etc.) on the finished surface have been repaired, sealed and finished. Small mineral deposits can also be occasionally found in this beautiful wood. 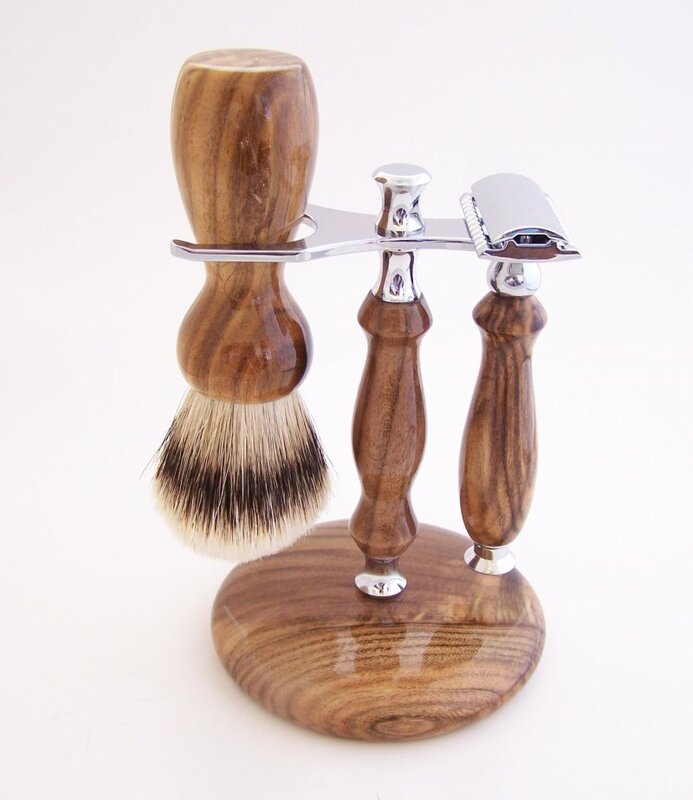 Note: Although and entire shaving set is pictured, you are purchasing just the stand. The stand pictured is the one you will receive. 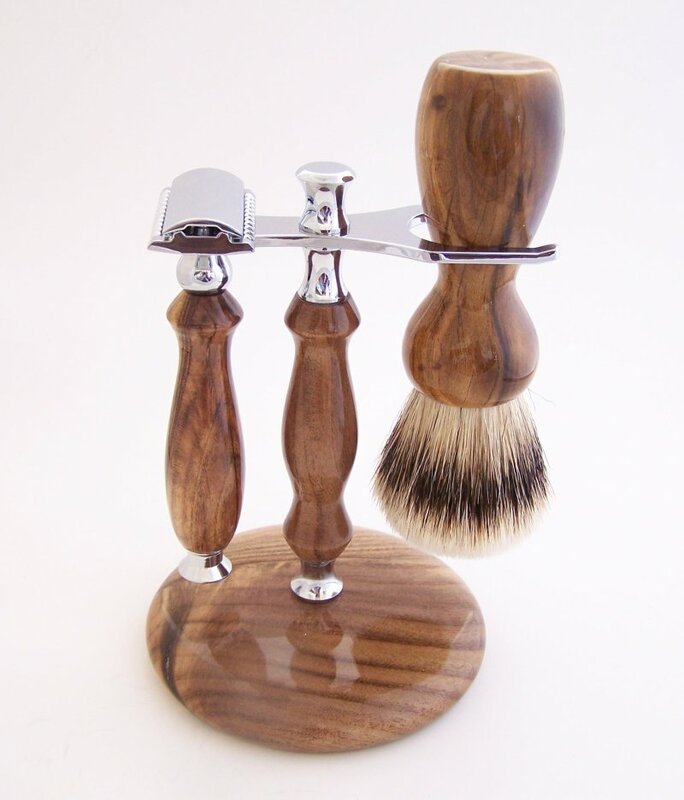 The shaving stand's finish (Cyanoacrylate--i.e., Superglue) is durable, highly polished and cannot be penetrated by water. 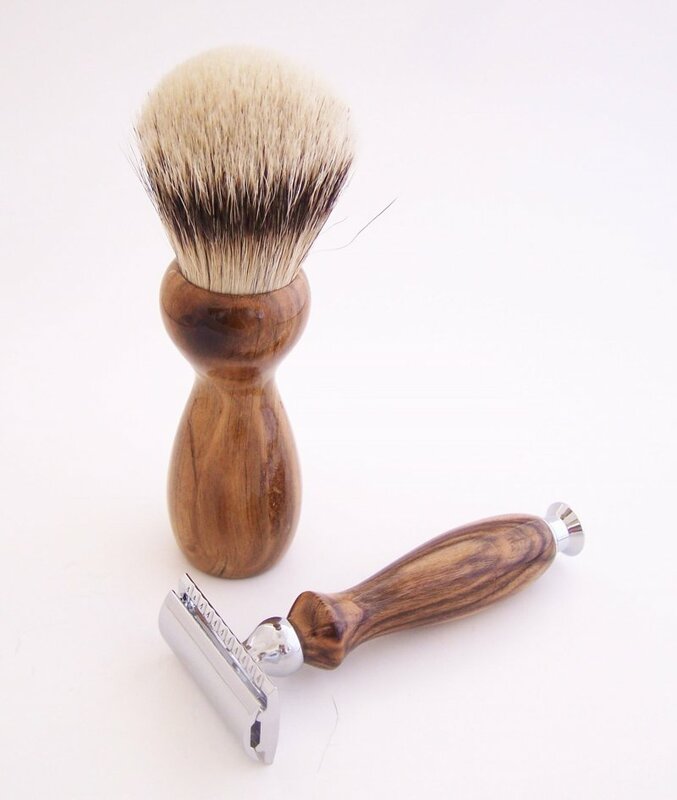 When using the brush, you can get the handle as wet as you want during use and not worry about the wood being damaged. To maintain the finish you just need to wipe it dry after each use. Shipping via USPS. Your business is always very much appreciated. Thanks for looking.